As factories take on more work in this booming economy, one area of investment many will focus on is forklifts and other machines that make it easier to transport heavy items or materials. And while forklifts can be an excellent tool in any industrial setting, it's also worth noting that there are many common hazards associated with the machines if they're not used properly. 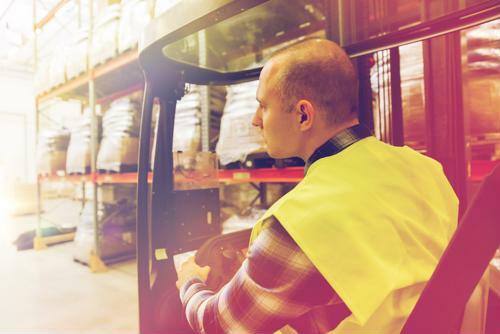 Any issues that can lead to manufacturing safety concerns - including the ongoing use of forklifts on or around the factory floor - need to not only be addressed, but headed off at the pass, according to the Work Safety Blog. Perhaps the biggest safety risk associated with these machines is that pedestrians might not always be aware of them, leading to collisions that can cause serious injuries. Everyone working in an area where forklifts might be used needs to be wearing protective, high-visibility clothing so drivers have plenty of time to react to people in their path, the report said. Likewise, forklifts themselves should be equipped with flashing lights and noise-makers of some kind (such as beeping when backing up) to ensure pedestrians see them coming. In addition, it's important for businesses to make sure that their forklifts are at peak operational status on a continual basis, according to Delta Materials Handling. That means checking tire pressure frequently, testing the battery when it's regularly moving back and forth between a heated factory floor to a cold outdoor area, and checking the fluid levels (oil, anti-freeze and so on.). It's also wise for operators to make sure the engine has been running for a minute or two before they put the machine to its normal heavy work, the company advised. Doing so helps ensure everything is running smoothly and protects against potential transmission problems. Furthermore, everyone who is going to be working around the forklifts needs to know the importance of taking all necessary safety precautions, through routine training exercises, according to Forklift Certification. Likewise, it's important for those who will actually operate these vehicles to have their own training efforts in place, as well as seeking out whatever licensure or certifications will help them stay compliant with various regulations, such as what kinds of materials they can safely handle, on an ongoing basis. The more companies can do to ensure they are continually "skilling up" their workers to be better at various aspects of their jobs, including operating forklifts effectively, the better off they will be in terms of both workplace efficiency and manufacturing safety. Companies that want to attract and retain the most talented forklift operators will need to make sure their salary and benefits offerings are competitive with those of other businesses employing such skilled laborers. That kind of extra effort can really pay off not only in terms of reducing employee turnover, but also keeping workplace safety high on the priority list.